Our Pickles are 100% Certified Organic made with Apple Cider Vinegar. These cucumbers are harvested, washed and quickly chilled, creating a crisp pickle without the use of additives. 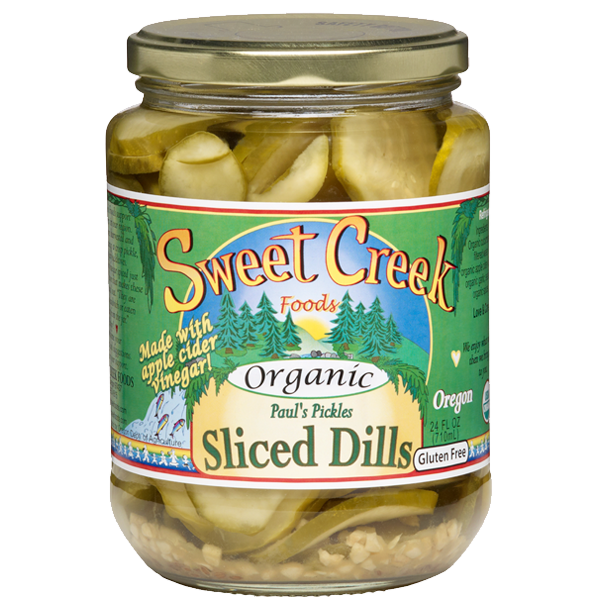 We use apple cider vinegar spiced just right for a flavor that makes these pickles stand out. We hand pack each jar in small batch sizes to insure quality with every bite. Enjoy! 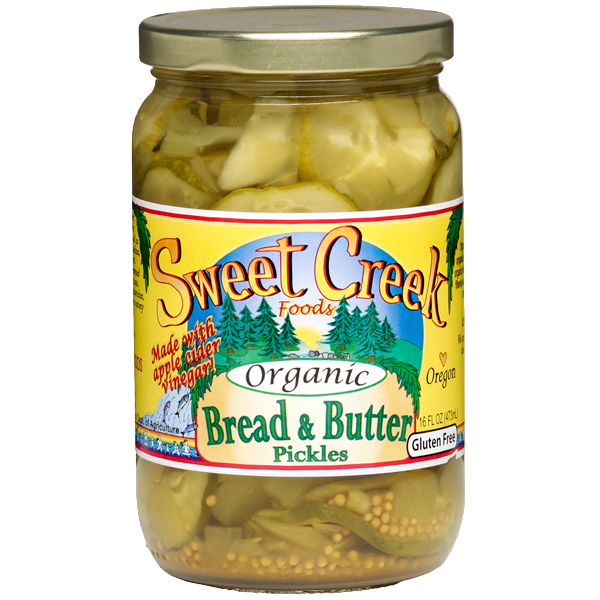 This pickle is the kind that you can sit down and eat the whole jar of without having a pucker attack. Crispy and delicious. The apple cider vinegar and garlic adds a nice bite and quality flavor that is to munch over and over. Chili’s! Need I say more! 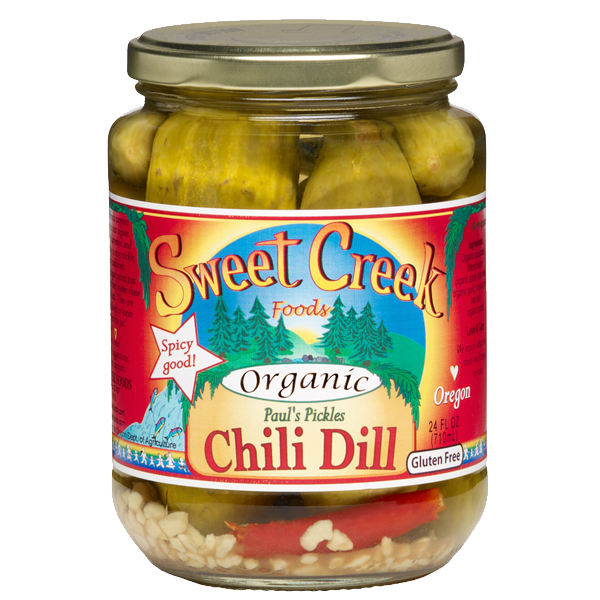 These pickles have a nice spicy kick that will leave your taste buds satisfied and craving for more of their spicy goodness, they are a must eat for any fridge connoisseur. They are a Fuller family favorite! We hear that these pickles are as good as grandma’s. 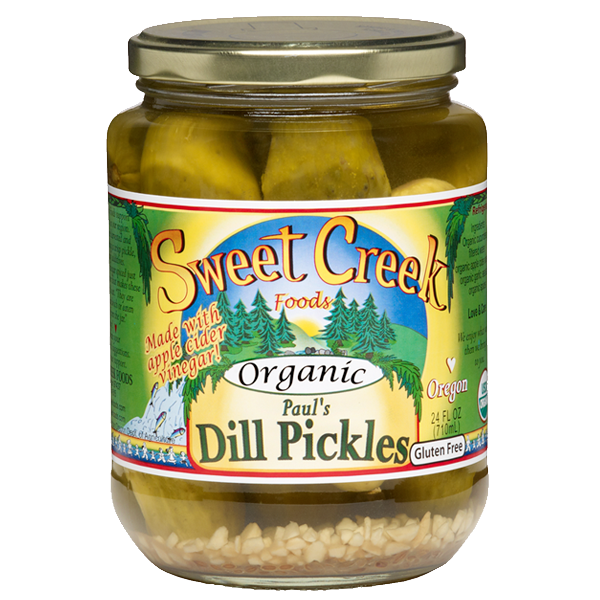 These classic dinner table favorite pickles are a fan favorite. The apple cider vinegar and ginger bring out a wonderful buttery sweetness that compliments any feast.